“Marigold is the best intercrop in farming. It complements many crops and proficiently controls nematodes, trips and mites. In addition it also secures the crops from diseases. It has the ability to control 40% pests! I use other crops as intercrops too. I have almost all crops in my farm grown interrelated to one another. 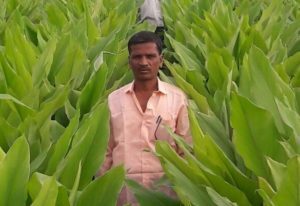 It helps to cope not only with market price fluctuations but also lessen the loss,” affirms Mr. Dhanpal Nagappa Yallatti, an experienced farmer from Halingali village, Balgalkot district, Karnataka. The integrated farm of Mr. Dhanpal spreads in 37 acre. “12 acre is self owned while 25 acre is on lease. We pay Rs. 20, 000/year/acre as lease amount,” he adds. Sugarcane is the primary crop of the farm. “We grow Coimbatore variety or any new variety from Dharwad University. If the new variety produces high yield then farmers are encouraged to grow the same. Other crops grown are turmeric, papaya, pomegranate, watermelon, banana (G9, jawari), marigold, capsicum. Vegetables cultivated are cluster beans, tomato, brinjal, sweet corn etc. 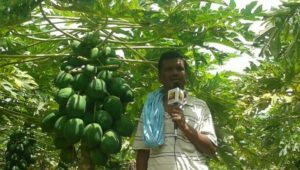 Every month my farm generates revenues thus profit and loss are balanced and our routine operations continues systematically,” he asserts. Production plan for the crops is decided meticulously with the aim to earn profit of Rs.2.5-3lakhs/acre. Farm even has small dairy unit, shadenet (under Krishi Bhagya project) for cultivating coloured capsicum and a tissue culture lab. The farm has drip irrigation system in 20 acre while rest of the area is irrigating with flood system. Mr. Dhanpal advocates on growing intercrops in the farm. 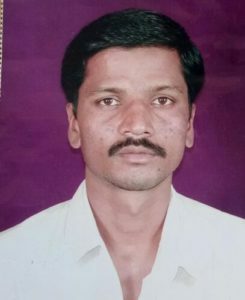 He definitely finds marigold as finest intercrop and uses it extensively. “I have intercropped marigold with papaya and banana. 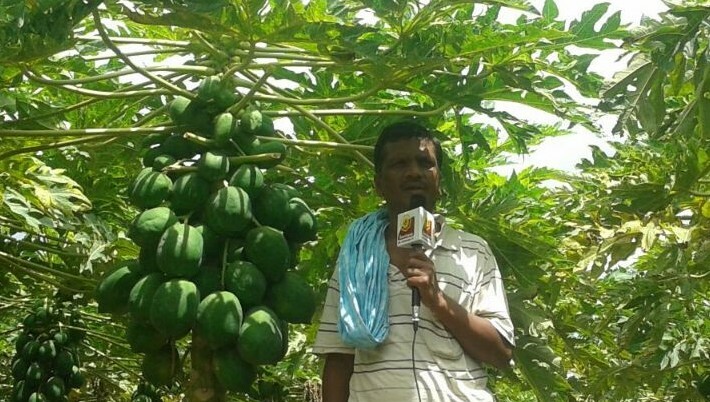 When grown as intercrop with papaya, the later is planted 6 feet plant-plant and 7 feet row-row whereas in between marigold is transplanted at 3.5 feet in a line,” he informs. Marigold is also good to intercrop with vegetables. “I grow it with brinjal. The later is susceptible to mites and trips attacks so when grown with marigold, the bright yellow colour of the flower attracts all the pests. The flower plant is transplanted at 5 feet distance and brinjal at 1.5 feet,” explains Mr. Dhanpal. Apart from marigold, watermelon is intercropped with pomegranate. It is planted 10 feet row-row while watermelon at 5 feet distance. “We use mulching for watermelon for water management and disease prevention,” he states. Sugarcane is intercropped with cabbage, cauliflower, soyabean or marigold. Sugarcane is planted in the channel near the beds. On the beds either any one of these vegetables or marigold is grown. Mr. Dhanpal has a small tissue culture laboratory too. It is managed by his friend to develop banana, tomato and brinjal tissue culture saplings. Vegetable saplings are sold at Rs. 0.50/plant and banana at Rs. 13/plant. “I sell approximately 5lakh saplings of banana every year to the farmers. They are given the assistance if required,” he avers. Seeds used are hybrid varieties sourced from trusted suppliers. Small dairy unit of four desi cows (2 gir cows, 2 jawari cows) and 2 murrah buffaloes is maintained at the farm. Cows are reared mainly for fulfilling the demand of cow dung and urine as required for making agri inputs. “We sell cow and buffalo milk only if in excess else the cows are only for obtaining milk for personal use and cow dung plus urine for manure. The milk is sold at Rs. 50/litre or value added into ghee/butter, sold at Rs. 1500/kg,” he shares. Cattle is fed with dry fodder, green fodder, concentrates. Green fodder is grown in house and also hydroponically.